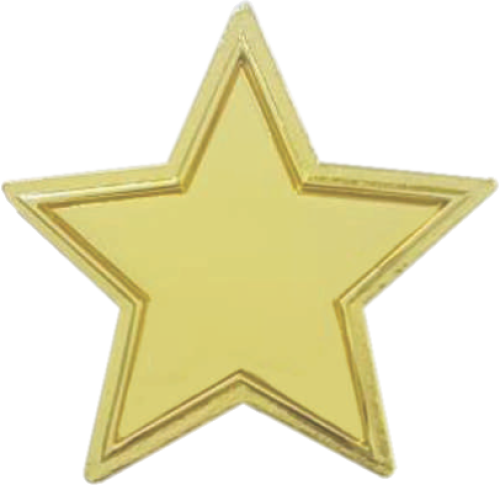 The Recognition Star Lapel Pin is 3/4" in size and could be given to recipient of The Recognition Star Award winners. 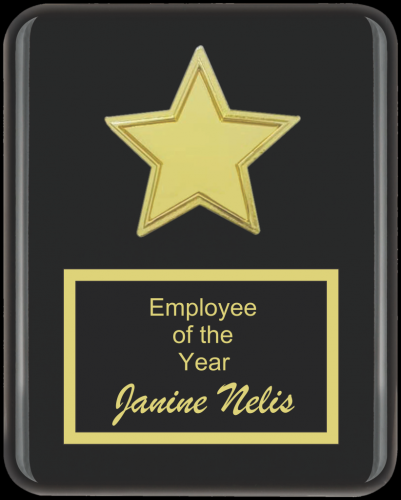 The Recognition Star is mounted on an 8x10 piano finish plaque. The Recognition Star w/ custom insert. Send us your logo and we will create a proof for your review. Includes 3 lines of engraving.